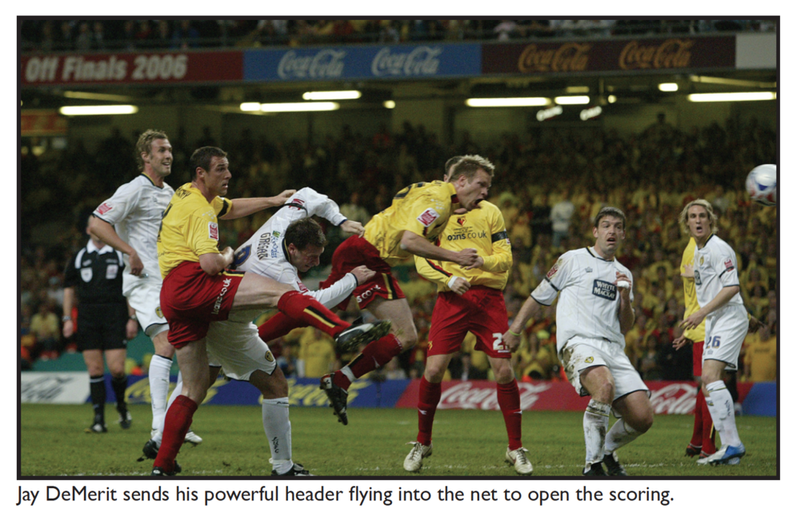 When Watford returned for pre-season training in July 2005, Adrian Boothroyd called his squad together for a meeting. The players entered the room to find the chairs had been arranged two by two, with an aisle down the middle, like the seats on a bus. Seeing as Watford had only just avoided relegation in May, most of the players thought their manager was barmy but slowly they began to take their seats. ‘It took courage to do that in front of a group of players who didn’t know him that well,’ says Jay DeMerit, who had felt unsettled when Ray Lewington was sacked. ‘Ray was the manager who took me from Northwood. It was strange going in one day and hearing your boss is no longer there. ‘The lads were talking and when we heard who the new manager was, I will be honest, everyone was saying, who the heck is Aidy Boothroyd? I even got on the computer to look him up and find out who he was and there wasn’t a lot of information out there. ‘Immediately his attitude was infectious. We were tipped for relegation but he was looking completely the other way. He was talking about promotion. Maybe people thought he was mad but he was so driven and for a while, that drive really worked. Boothroyd enjoyed financial backing his predecessor could only have dreamed of. His first few signings were questionable (remember Junior, Martin Devaney, Adam Griffiths or Sietes?) 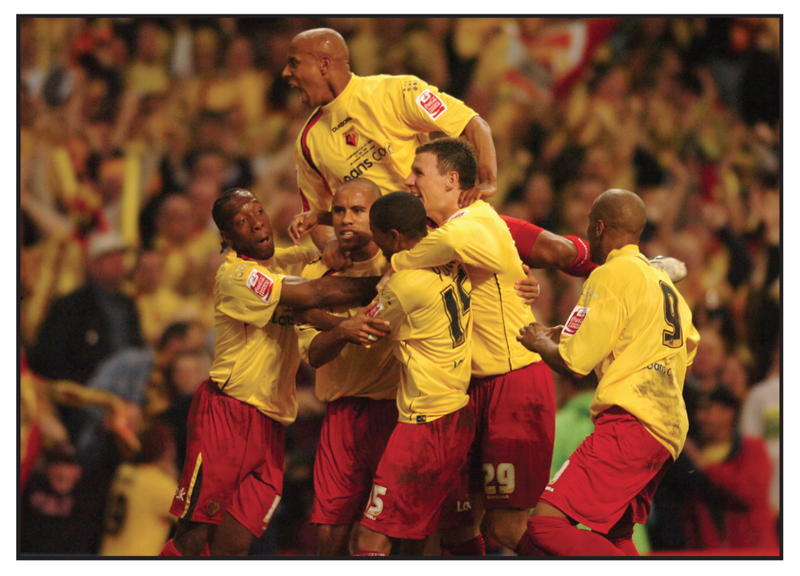 but later he hit upon Marlon King, Darius Henderson and Matthew Spring, who helped transform the team. The rookie manager traded in self-belief and that transmitted itself to the players. The style of play was direct but it wasn’t without a touch of finesse. While some of the tactics were unlikely to win friends among the purists, they were adept at winning matches. ‘We were a winning team,’ says the captain, Gavin Mahon. ‘Everything was focused on winning matches. We broke the season down into blocks of six games and the manager asked us to set a points target. If we met it, we were treated to a night out as a group. One time we all got laptops. Having qualified for the play-offs, Boothroyd reset the counter to zero. ‘We had played 46 games but our mentality was we had to forget how we got there, now we had to win three games,’ says DeMerit. 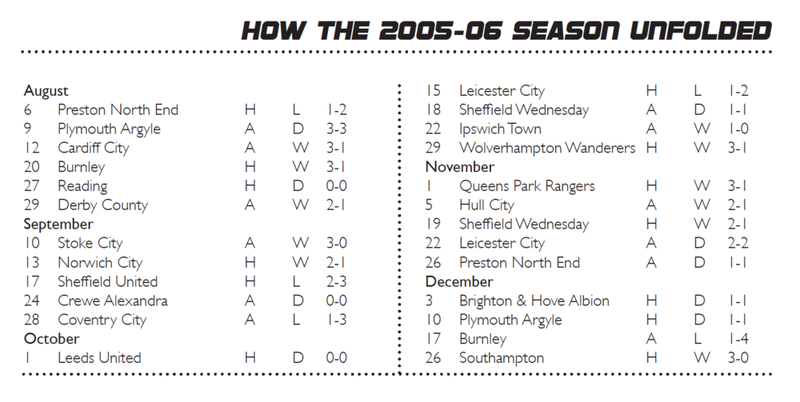 Watford went to Cardiff a few days before the final and familiarised themselves with the Millennium Stadium. Before the match, Marlon King wanted to know the Leeds team as soon as it was announced. As captain, Mahon was able to give him the news he wanted. ‘There had been a question mark about Paul Butler, their centre half, and whether he’d be fit,’ says Mahon. That confidence coursed through every vein and sinew of the Watford players. There was an indomitable spirit about the team that it was evident Leeds could not muster. Watford were gung-ho, they were swashbuckling and exuberant, in fact, they displayed qualities to match the finest teams produced in the club’s history. Leeds were crushed. Saddled with debt, there was so much riding on the outcome of this one match for the Yorkshire club. Their financial situation implored them to reach for the riches on offer. Watford were driven by something plainer, purer and simpler – desire. Boothroyd worked the touchline like a master puppeteer. He instructed, he cajoled, he made notes. He was in his element. Little over a year ago, he had been a coach at Leeds, working under Kevin Blackwell. Now he was able to put his knowledge of their strengths and weaknesses to good use. Boothroyd, already hailed as one of the game’s most talented young managers, was in his element. The early exchanges were tense. The Millennium Stadium had none of the history or shabby chic of the old Wembley but it was an imposing arena which kept the atmosphere bubbling like the lid on a pan of boiling water. Matches like this can turn on instinctive decisions. Watford won a corner, which Ashley Young prepared to swing into the penalty area. The ball curled into the box and time seemed to stand still for DeMerit. ‘All I can see is the ball,’ he says. ‘I am not looking at anyone or thinking about anything. I am just going for that ball. ‘Malky blocked off his guy so I could get through and I can still see it now, flying into the net. ‘That was the goal we were looking for. There had been a bit of uneasiness in the Leeds crowd and that goal really deflated them. Then their team started to lose something, while it gave us something to build on. Watford survived a penalty appeal late in the first half when Ben Foster nudged Paul Butler and after the break they tightened their grip on the game. There was more than a touch of good fortune about the second goal. A long throw from Mahon was seized on by James Chambers who turned and fired a shot which spun off Eddie Lewis, slipped from Neil Sullivan’s grasp and rolled in near the post. With six minutes left, Shaun Derry hauled Marlon King down in the box and Darius Henderson thumped home the penalty. For the third time, Watford had reached the top flight. It took DeMerit a while to come to terms with what he had achieved. The American had come to Europe to try to make it as a footballer. A few weeks later, Mahon and his wife went to see Elton John in concert at Worcestershire cricket ground. During the season, Elton would often ring Boothroyd after a game and sometimes the manager would put Mahon on the phone for a chat.